Sharon Kay Riggert, 77, passed away peacefully on Sunday, November 4, 2018 in Denver, CO. Sharon was a Loveland resident from 1971 – 2016. She was born on June 7, 1941 in Beatrice, Nebraska. Sharon was preceded in death by her parents, George L. Endelman and Lucille B. (Martin) Endelman, and her sister, Rose Marie Miller. 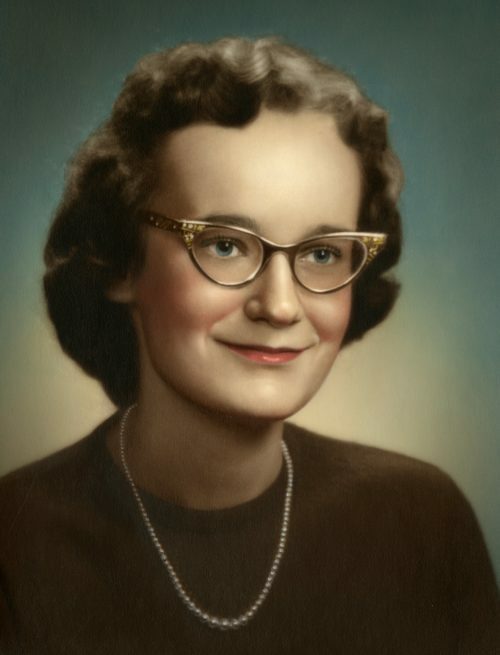 Sharon graduated from Beatrice High School, Beatrice, NE in 1959. Upon graduation, Sharon was hired by Store Kraft Manufacturing Company as the secretary to the company’s executive officer. A position she held until moving to Loveland in 1971. Sharon was employed by Epsilon Sigma Alpha (ESA) in Loveland. Her favorite employment was with Hewlett Packard. Sharon was a gifted piano, organ, and accordion player. She taught music lessons in Beatrice. She played the piano at her niece’s wedding. Sharon was also artistic and created beautiful holiday wreathes and artificial floral arrangements. During retirement, Sharon spent many hours in the garden. Her favorite flowers were poppies. She loved to watch rabbits and birds. Her sister, Rose, had taught her to identify birds by their song. Sharon also enjoyed the occasional wine cooler and Julia Roberts movies. My aunt, Sharon, was a devoted, selfless soul to her immediate family and close friends – always there to help in any way she could. She is survived by her niece, Jenny M. Stevens, Denver, and her nephew by marriage, Bob Schroeder, Ft. Collins. A graveside service will be held at the Loveland Burial Park, Loveland, CO on Saturday, November 17, 2018 at 10:00 am. In lieu of flowers, donations may be made to the Alzheimer’s Association of Colorado, 455 Sherman St., Suite 500, Denver, CO 80203. Sharon and I worked together for over 16 years at HP. When I arrived in the group, she was the one that provided the greatest help to me and continued to be for all those years. Anything I asked for was always given and always as quickly as she could. She was the kindest and most gracious person that I have ever known. Sharon helped me lead a group of Camp Fire Girls for several years around 1975. We worked together at ESA at the time. She was such a efficient and friendly gal. I really loved having her as a helper. I’d lost track of her over the years and often wondered what she was doing and where was she living. I’m truly sorry to hear of her passing. Sharon was such a caring, fun friend and co-worker at HP. We had many good times both at work and outside of work. She cherished her family and did all she could for each of them. So sorry that she suffered from Alzheimer’s. I cherish the memories thst we made. Rest in peace sharon. Jennie, hope it is some comfort that Rose and Sharon are together again with their beloved mother. I’m so sorry for your loss. You were very important in Sharon’s life. I was so sorry to hear of Sharon’s passing. We worked together for many years at HP and it was obvious how devoted she was to her family. So sorry for your loss, Jennie, but I know you have many wonderful memories to sustain you.